This is a unique version of the Amsler Grid Test, the macular degeneration screening tool, with distinct advantages over the standard 'paper chart' format of the test. 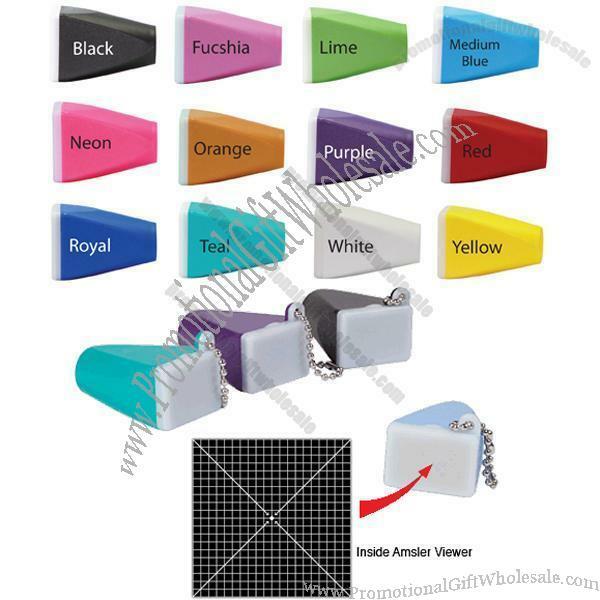 With the Amsler Grid Test secured inside a keychain viewer, it forces the user to view with one eye at a time, into a fixed area where they can focus only on the Amsler Grid. One time artwork charges may apply to convert to vector art. Put a full 35mm transparency in the translucent cap, snap it onto the colored body, hold it up to the light and you have a bright, magnified image in this handy little viewer.